The transition period from the last few weeks of the dry period through to the first few weeks of lactation is the critical time for setting your cows up for the milking and joining. the onset of the lactation channels huge amounts of energy, protein and minerals into milk. All this means that there is great potential for clinical and production limiting deficiencies in the transition or springer cow. Looking at some specific areas. The daily energy requirement of a cow close to calving at least 80-110MJ/day. The diet given to cows close to calving is typically a small amount of grass, hay or silage and some concentrate component. On this diet a cow’s maximum dry matter intake is in the order of 8-12kgDM per day, depending on the size of the cow. To meet energy requirements, the average quality of her ration must be about 10MJ/kgDM. It is easy to see that offering any amount of average quality hay (8-9MJ/kgDM) will fail to meet the cows energy demands. Offering poor quality hay (6-7MJ/KgDM) has no hope. The cow will not fall over and die, but she will break down her own fat and muscle tissue to supply her own and the calf’s requirements. She goes into a state of negative energy balance. If cows are in severe energy deficiency and/or overweight and lacking enough energy a lot of fat is used up and the liver can struggle to cope with demand – causing ketosis. The clinical effect of ketosis depends on when it occurs. If it occurs prior to calving, the effect is for the cow to become weak and potentially unable to stand. This clinical syndrome is called pregnancy toxaemia (or pre-calving stress). These cows need urgent attention, and often require the calf to be induced prematurely. If the ketosis occurs after calving it is usually referred to as acetonaemia and the cow requires checking to ensure there is not another disease and possibly treatment with a readily available glucose source. Also, in late pregnancy, the unborn calf has a huge requirement for protein and takes this protein before the cow. If the diet is low in protein the cow uses her her own muscle mass. Like all mothers, the cow is selfless in supplying her calf’s needs at her own expense. This is all very nice for the calf, but loss of cow body condition mean loss of milk production over the following lactation. Concentrate feeding in the late dry period, often referred to as lead feeding, can be used to correct energy and protein shortfalls of the springer cow ration. Because the fibre level of grain or pellets is low, the overall dry matter intake of the cows will be increased with lead feeding as well as the average quality of the overall ration. The daily energy intake of springer cows can be increased by 20-30MJ by feeding 2-3 kg of concentrate. The low protein levels of grass hay can be supplemented by using a grain mixture e.g. wheat and canola, aimed at increasing the total springer ration to the required 15% crude protein. Due to low winter pasture growth rates in our area, concentrate feeding at the start of the lactation is widely used to supplement shortfalls in pasture availability. As well as providing energy and protein, Lead or transition feeding allows the cows to adapt to concentrate feeding prior to calving. The rumen of the cow has billions of bugs which are essential to the health of the cow and efficient use of feed. The bugs in the rumen change depending on if the diet is rich in grain or high in fibre. But this change takes 2 to 3 weeks. A sudden change to easily fermentable feeds such as a sudden introduction of 4-6kg of grain or pellets as a cow enters the herd after calving results in acid production in the rumen in amounts beyond the cows ability to cope. When concentrates are introduced more gradually, the rumen can adapt without the affects of acidosis. This can be achieved by lead feeding springer cows at about half the rate of the milker ration. Lead feeding at this rate is also ideal for rumen adaptation to rumen modifiers such as Eskalin. When a cow starts producing milk which is high in calcium there is a massive increase in her demand for calcium. Often she cannot satisfy this demand and that is why cows get milk fever close to calving. Possibly even more importantly, many cows will be slightly low in calcium causing them not to eat the maximum amount, have problems with RFMs and uterine infection and be more likely to get other problems. The DCAD concept. A diet which makes the cows body more acidic means the cow can use calcium from her bone to satisfy demand. The concentration of some salts, especially sodium, potassium, chloride and sulphur has been shown to effect the likelihood of a cow getting milk fever during the period around calving. It is the proportions of these salts, termed the Dietary Cation-Anion Difference (DCAB) which influences the cow’s calcium metabolism. A low DCAD diet makes the cow more acidic which increases the removal of calcium off bones and therefore, milk fever less likely. A high DCAB diet makes the cow’s system more alkaline which makes it more difficult to get calcium off bones and therefore milk fever more likely. High potassium is the salt most likely to cause high DCAD. Anionic salts are feed additives which lower the overall DCAB of the diet. Transition feeds contain these Anionic Salts to decrease the chance of milk fever and slightly low calcium. However, if the rest of the diet is high DCAD – especially due to Potash (Potassium) this can counteract the anionic salts and problems result. The DCAD of hay can be measured. Calcium supplementation. Provided the DCAD of the springer diet is low, there is an opportunity to supply calcium to the transition cow both before and after calving which goes a long way to helping solve milk fever problems on farms. An inexpensive form of calcium is crushed limestone. This can be fed to the springers in the lead feed and the milkers in the grain ration. Remember that clinical milk fever is just the tip of the iceberg with respect to calcium metabolism deficits. Controlling calcium metabolism helps to promote appetite, prevent retained foetal membranes, and improve recovery after calving. Commercial lead feeds contain good levels of energy and protein and anionic salts to achieve the goals of satisfying the demand for energy and protein, adapt the rumen AND prevent milk fever. However, many farmers have a single feeding system that must be used for both springers and milkers. Feeding a separate Transition diet can be hard work. It is possible to have the same feed for milking cows and transition cows AND satisfy the principles described in this article. A mixture of grain and canola can be used as the basis of the feed mix. Eskalin added to prevent acidosis. Eskalin is preferable additive to sodium bicarbonate because of the strongly positive DCAB effect of bicarb. Crushed limestone should be added to supply milkers with 100g/cow/day. Magnesium supplementation helps to optimize calcium absorption as well as prevent grass tetany, so Causmag should be added to supply 30g/cow/day. This mix can be safely fed to springers at half the rate fed to milkers. In order to control the springer feed DCAB, hay or silage should be tested well in advance of calving time. Anionic salts are fairly useless for milkers so need to be supplied to the springers in something other than the concentrate mix. Water supplementation provides the ideal route. In recent years we have used magnesium chloride (Mag C) water trough dispensers and are satisfied with the results. There are a number of compromises with this system such as the use of magnesium chloride as an anionic salt. It is not the strongest anionic salt available but it has twice the DCAB lowering effect of magnesium sulphate (Epsom salts) which has been used widely with some success. Mag C is also relatively inexpensive and very easy to use in the trough dispenser system. On farms where there is the only one feeding system available for both milkers and springers, we are confident in recommending the programme described above. 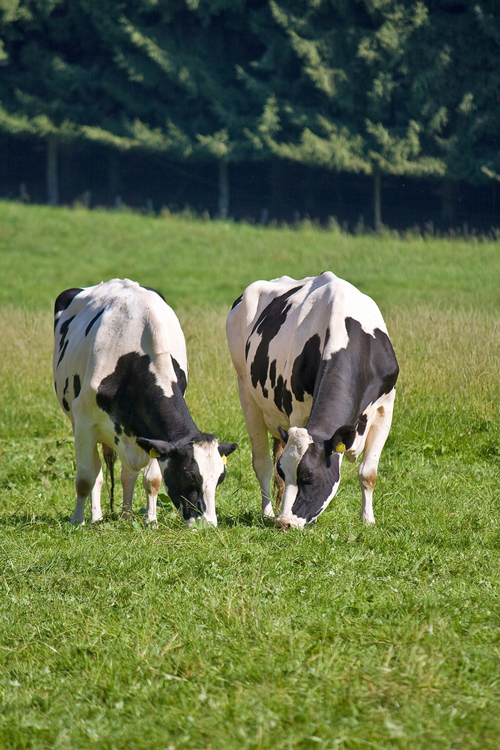 Cows in the late dry period are at great risk of energy and protein deficiency. These deficiencies will negatively impact on the health and productivity of the herd. The Dietary Cation-Anion Difference (DCAD) of the springer cow feed will influence the likelihood of milk fever and subclinical hypocalcaemia occurring in the period around calving. Anionic salts can be used to lower the DCAB of springer cow feed but testing the hay or silage portion of the diet for DCAB is necessary for accurate control. Calcium and magnesium supplementation of springer and milker rations prevents dietary inadequacies which jeopardize the success of the programme. Eskalin is a rumen modifier suitable for transition cows which does not adversely affect calcium metabolism. Grain and 25-33% lupin mix,(e.g.4kg/cow/day to milkers, 2kg/cow/day to springers). Added calcium – either 175grams of MacrovetE or crushed limestone. 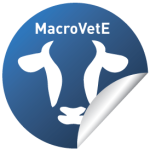 Causmag @ 30g/cow/day (=15g/cow/day for springers) or use Macrovet E.
Eskalin at recommended daily rate for milkers – available in MacrovetE. Mag C via water dispenser to springers @ 60-100g/cow/day. DCAB tested hay/silage to springers. Warrnambool Veterinary has formulated a mineral concentrate containing calcium, magnesium, trace minerals, Eskalin and Rumensin in an easy-flow pellet form. For many of our clients this has been a simple and very effective system in providing minerals and rumen modifiers to their springers, fresh and mid-lactation cows. The dose of MacrovetE is a convenient 350g per cow per day for milkers and 175g for springers. The pellet formulation prevents that powder drop-out and dust that can occur when the minerals are added separately. Please discuss transition cow feeding with us to customize a programme for your system and help get your cows off to a flying start. More information about MacroVetE can be found here.